It's Fri-YAY! Does anyone else feel this way? Things have been sooooo crazy busy for us that I haven't had a chance to write you all! So today will have lots of fun NEW announcements: like an upcoming class, new BOM and more! Let's check it out! 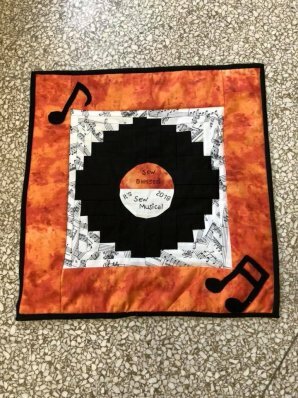 Saturday August 11th: Open Sew Day! The next Faith, Family, Friends Mystery BOM has been released! Eeekk! 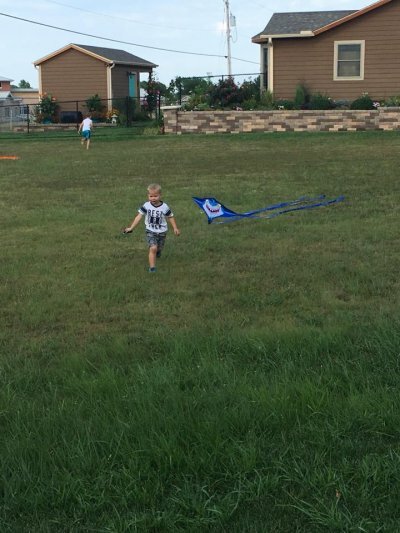 We have kits available - check it out here! 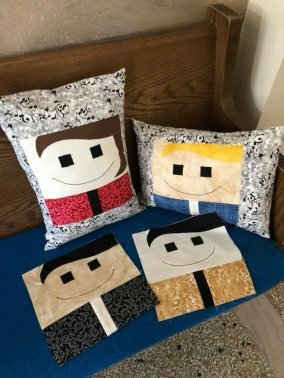 It's not to late to join in the fun on sewing these quick little blocks...there are only a few more months before we will reveal the finished project!! This fun pattern can be found in the Block Spring Vol 5 Iss 2! 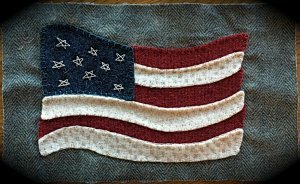 Check out our NEW Block of the Month program - Mineral Matrix! 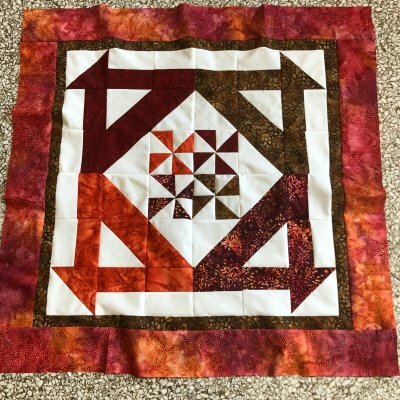 This stunning quilt finishes at 104" square! 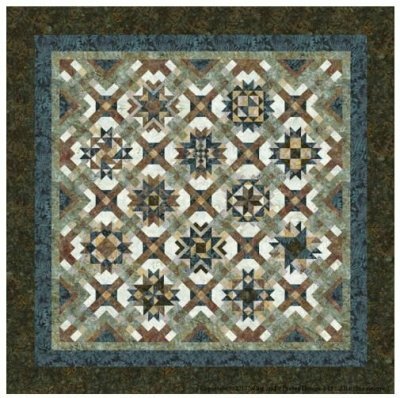 Made with beautiful stone colored batiks in browns, greens, taupes, and blues - this quilt is the perfect spread for a large bed! We are gearing up for Fall projects you may want to make to decorate your home! 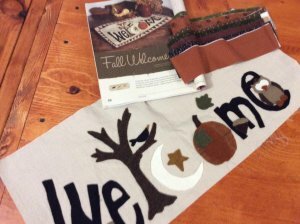 Check out this beautiful Fall Welcome woolie table runner from the latest Primitive Quilts & Projects magazine!